Photo Number 59. Back to the start of things. 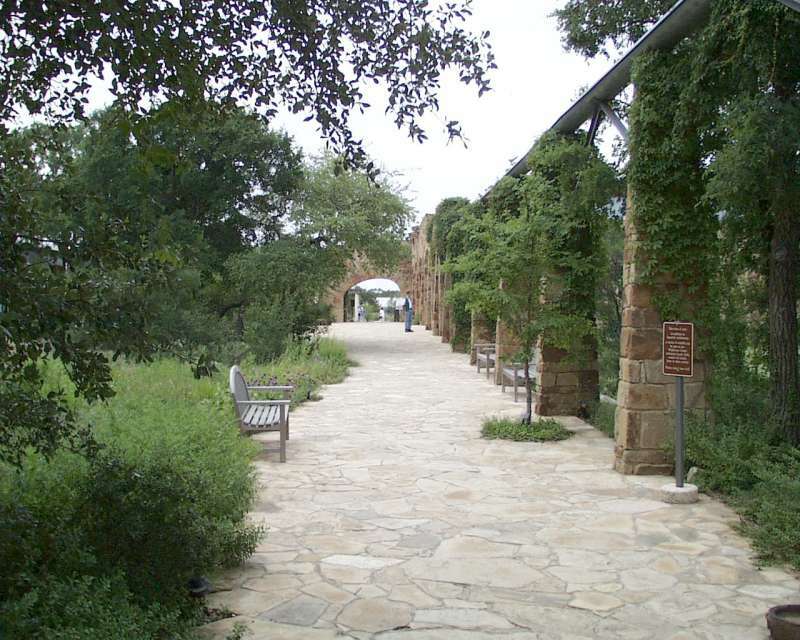 Here is the walkway from the Center entrance along the aquaduct. Again, notice the beautiful limestone walk contrasted with the brown stonework and set off by every possible shade of green.